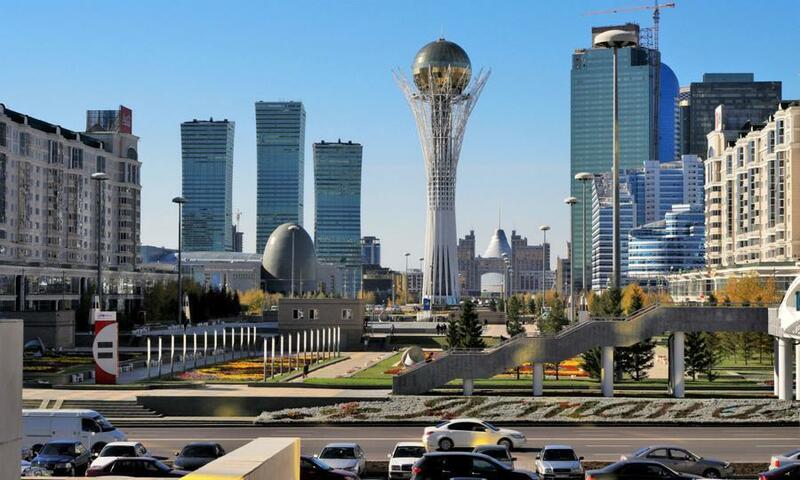 (MENAFN - Asia Times) The first policy move by the new interim president of Kazakhstan, Kassym-Jomart Tokayev, was the kind of bombshell few national leaders would drop. Immediately after his inauguration on March 20th, he proposed renaming the capital city - from Astana to Nur-Sultan ('Sultan of Light') - in honor of semi-retiring strongman Nursultan Nazarbayev, his mentor. In a sign that Nazarbayev retains a hold on the reins of power , parliament approved the change within hours. Founded in 1824 by Russian Cossacks as a fortress in the steppes, the town was first named Akmolinsk, and in pre-World War II days it was a small mining town. Then, in the 1950s, it became the center of a vast, agricultural 'virgin lands' project initiated by Soviet Premier Nikita Khrushchev. This inspired the new name of Tselinograd (after the 'virgin lands' around it). In the early 1990's it became Akmola ('White Grave' - referring to its harsh climate). When, in 1997, Nazarbayev decided to move the capital from Kazakhstan's largest city, Almaty, to the bleak industrial town, it was once again renamed, this time as Astana (simply 'The Capital' in Kazakh). To his credit, the 'Sultan of Light' transformed a gloomy industrial town into a futuristic city of skyscrapers rising from the steppe. But the architectural achievements also provide convenient fuel for state propaganda organs that continue to trumpet the achievements of Nazarbayev's three-decade reign. Given a surplus of oil money and Nursultan's desire to express his personality cult in concrete, architects could be handsomely rewarded and were offered a broad, empty, canvas to work on. As a result, top global firms queued up to work for the strongman as he raised his wind-swept fantasy in the middle of nowhere. Japan's most renowned architect Kisho Kurokawa was the first. He drew up the masterplan for a city of broad boulevards reminiscent of other planned cities like Canberra and Brasilia. Italian architect Manfredi Nicoletti followed, designing the city's concert hall, near the presidential palace. At the other end of this boulevard stands a silver pyramid, also by Foster. Grandly entitled the Palace of Peace and Reconciliation, it is 'a meeting place for world religions' where a global religious congress took place in 2018. Then, there are the government buildings - the presidential palace, topped with a big blue dome; golden towers for the state bank and insurance fund; and a huge observation tower. City-boosting projects have not always benefited Kazakhs. The high-profile Expo 2017 Astana, themed around 'Future Energy', was held in Astana in 2017. The development and design of the expo site predictably attracted the elite of global architects. The competition was won by Adrian Smith and Gordon Gill, creators of Dubai's tallest skyscraper, who beat out Zaha Hadid, but many are bitter about an Expo that cost $3 billion in a nation where almost half the population lives on under $100 a month. But yet more monumental hardware is hardly what Kazakhstan needs. Human rights activists claim that newspapers are shut down, critics locked up and protesters tortured while the world's top architects battle for lucrative contracts. Perhaps the most notorious contract was for 'Nazarbayev Center' – which was won by Norman Foster, who took heavy flak for designing a memorial to a dictator. Originally conceived as a public library, it now exhibits a vast range of Nazarbayevian personal items - the suit he wore on inauguration day, gifts and awards he received from world leaders - in addition to his 4,000-book collection. (He claims to have read them all.) There are also napkin sketches of skyscrapers drawn by Nazarbayev himself. This is an entire city designed to be a monument to Nazarbayev, and now that it is literally being renamed in his honor, the semi-retired dictator's personality cult is scaling heights that even Kim Jong Un might envy.